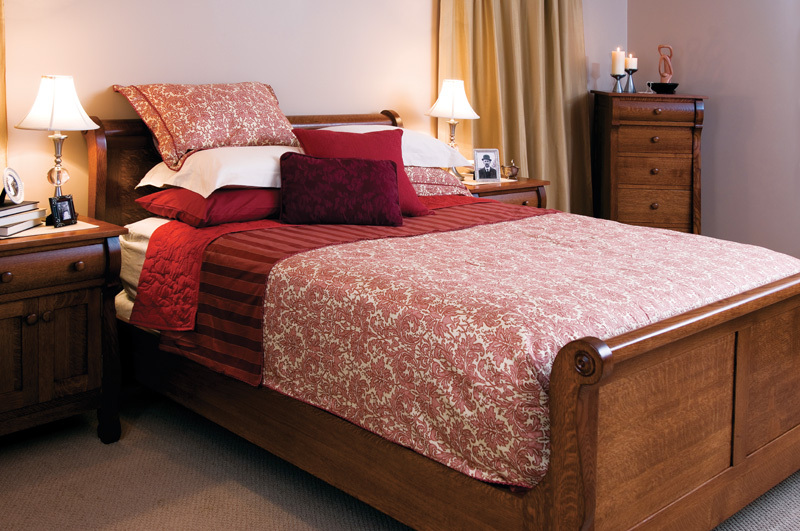 We offer plenty of variety when it comes to bedroom furniture. 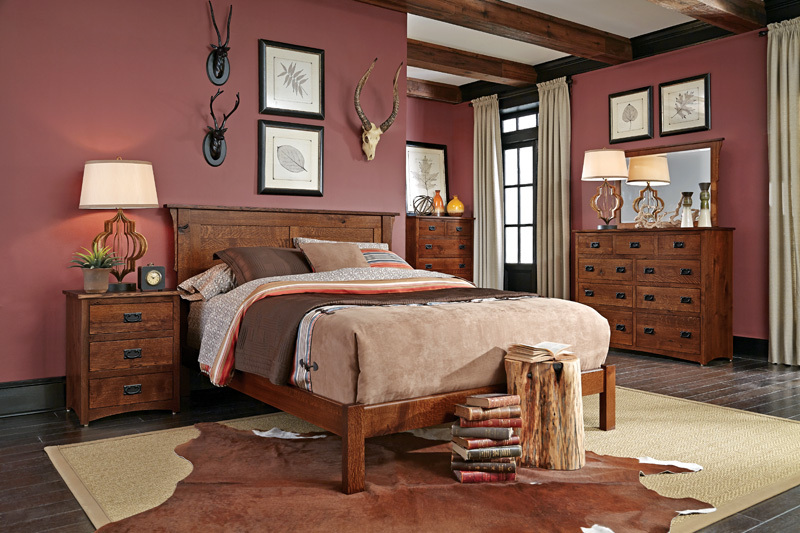 From traditional with pencil post beds to very contemporary designs with platform bed, we offer countless styles, all built to the same exceptional standard. 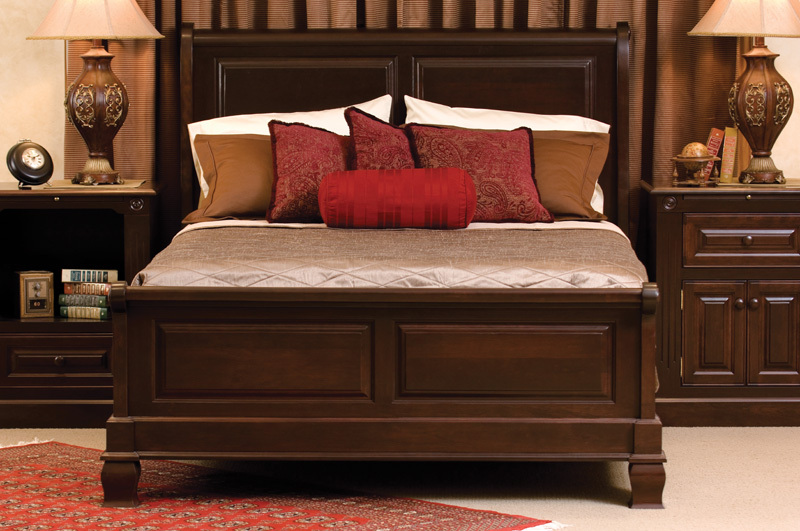 Drawer boxes are 5/8” thick solid hardwood, dovetailed front and back and finished inside and out. 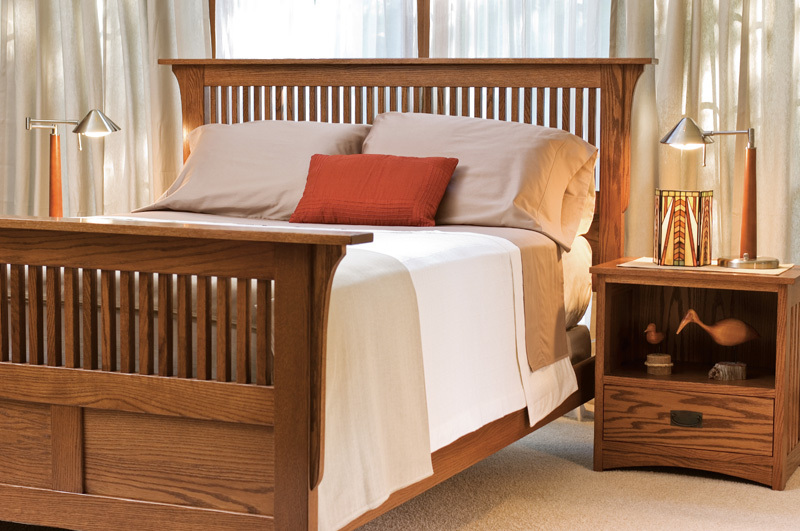 Wooden bed frames connect with non-glued dowels and heavy steel bolt anchored by an engineered nut. 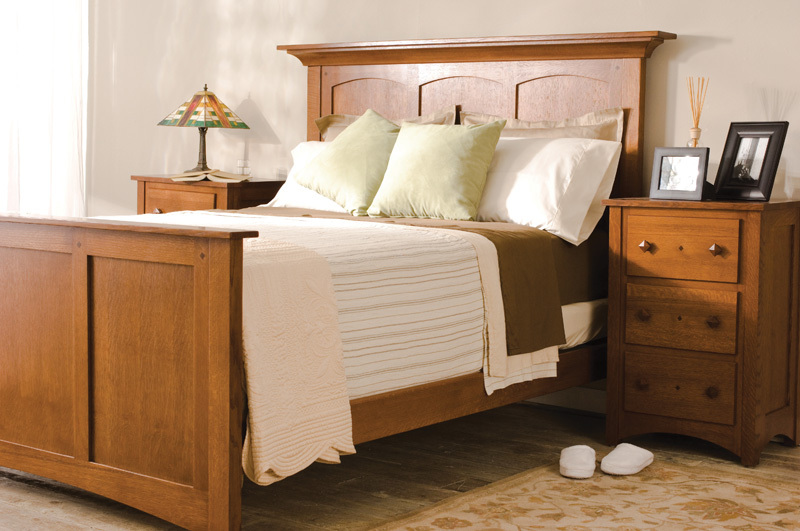 Custom orders of furniture are typically ready for delivery in 8-12 weeks. 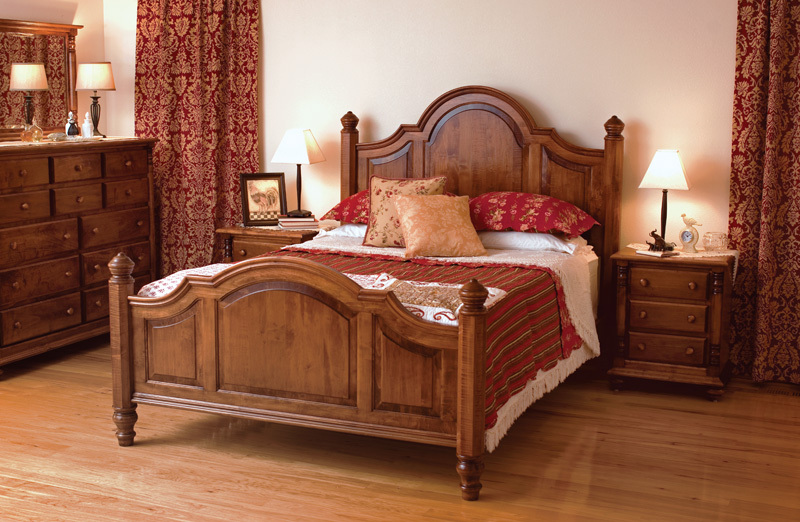 Or choose from our Express or QuickShip program to get delivery in about 4-6 week lead time. 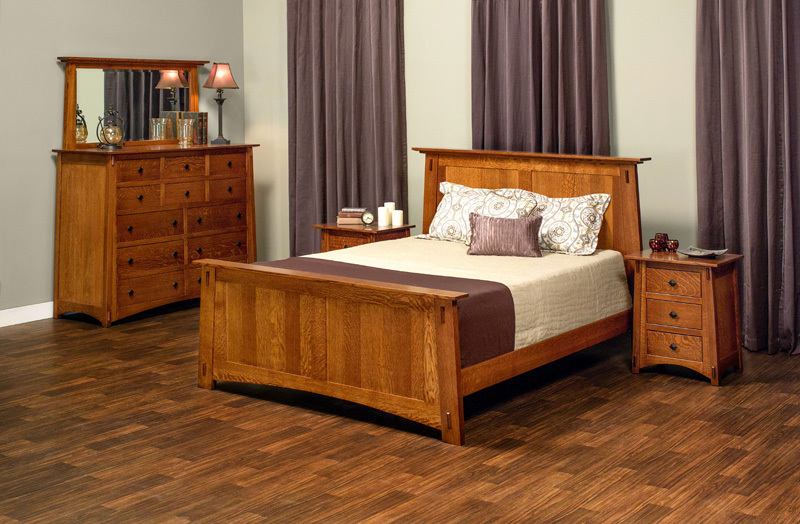 Items in the Express program are in stock at Simply Amish in 1 wood and finish option where as in the Quickship program it is still the same wood but you can choose from any of the finish options specific for that wood. 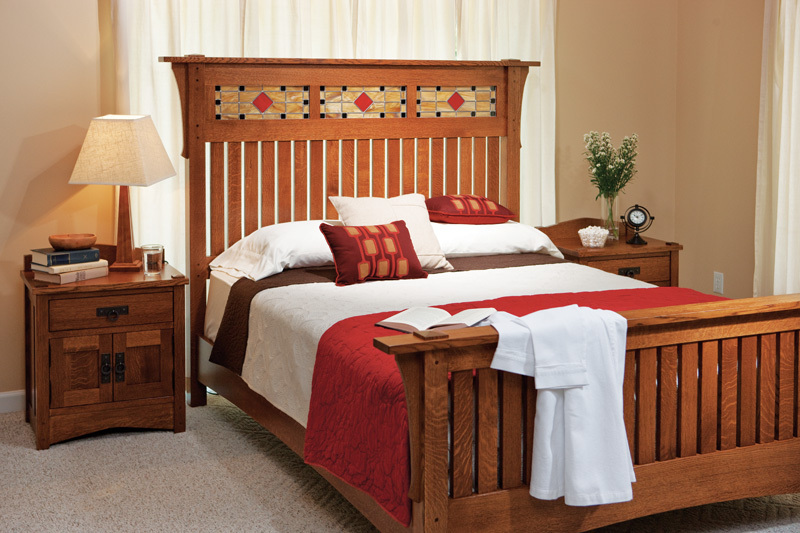 Most beds in the Express or Quickship program are in stock only in King or Queen Size.